On the fifth comes my first. Starting today, the day famously known as Cinco de Mayo, all the logic and lunacy symbolic of my first blog resumes here ─ where it should have been all along. Four years ago, I staked my claim to this domain and anchored it to this publishing platform, unsure what to do with either one. The prevailing logic demanded my domain be an extension of my personality and house bits and pieces of it. Instead, I resisted, because prevailing logic affords no permanence, only convenience. In time, that kind of logic changes, and logic, by definition, defies convention. 1) I became regional director for the Society of Professional Journalists, a job possessing demands that, to my surprise, wilted my routine. 2) My mother suffered a heart attack, then a stroke. Since then, she has slipped out of cogence and into hospice care. My trips to see her changed from random to routine. 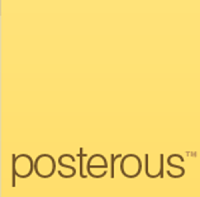 3) My chosen blogging platform, Posterous, shut down. The third factor proved more distracting than I imagined. Posterous had character and wide appeal. It was free to use and mindful of mobile users, becoming one of the first blogging platforms to make mobile posting seamless. High-profile bloggers made it their chosen platform, too. I felt, as one always does early in a relationship, that Posterous had staying power. Then Twitter bought it. Then Twitter plundered it for talent. Then Twitter, on April 30, shut it down. When the platform folded, my nascent network of regular readers fractured. True though, they followed me over from social networking, which takes more time out of my day than acceptable. Still, if my thinking ever deepened, those followers now lacked a venue to witness the plunge. So, today, I dust off this domain to make it into what it should have been from the start. That it happens on May 5, or Cinco de Mayo, is coincidence, if maybe a happy one. Of course, I could retrench at another free blogging site (and I have, to a degree). But I’m paying for this one, it sat dormant way too long, and even if this publishing platform changes, the ideas expressed here ought to remain here. You’ve had your challenges, but you keep going. I like your style. Best wishes as you attract a new audience here.